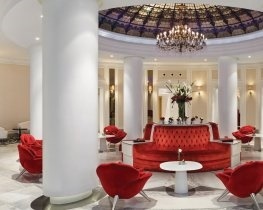 In the heart of Seville, a mere ten minutes from the Giralda Tower and Seville Cathedral and with shopping areas within five minutes, Gran Melia Colon enjoys a central location and is a superb hotel offering a high standard of accommodation and attentive service. 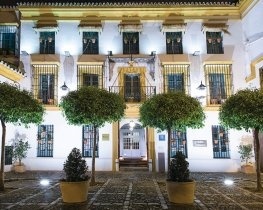 Located in the heart of Seville’s historic centre, around a 10 minute walk from the cathedral and the Alcazar Palace, tranquil Hotel Hospes Las Casas del Rey de Baeza is a beautifully converted 18th century Andalucian house set around charming, cobblestone inner courtyards. 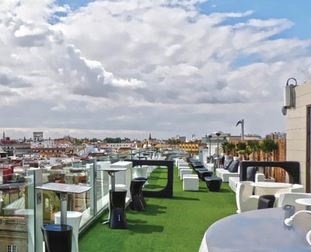 Hotel Inglaterra enjoys a privileged location overlooking Plaza Nueva in the heart of Seville’s historic centre, and with Seville Cathedral and Alcazar Palace within easy walking distance is an ideal base for discovering the city’s many outstanding sights. 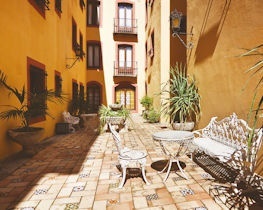 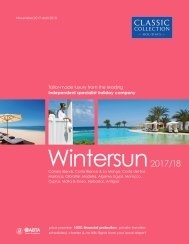 Conveniently located with Seville’s shopping district 200m away and the historic centre nearby, three star H10 Corregidor Boutique Hotel is a charming and comfortable hotel with friendly and helpful staff on hand to assist with local information and recommendations.